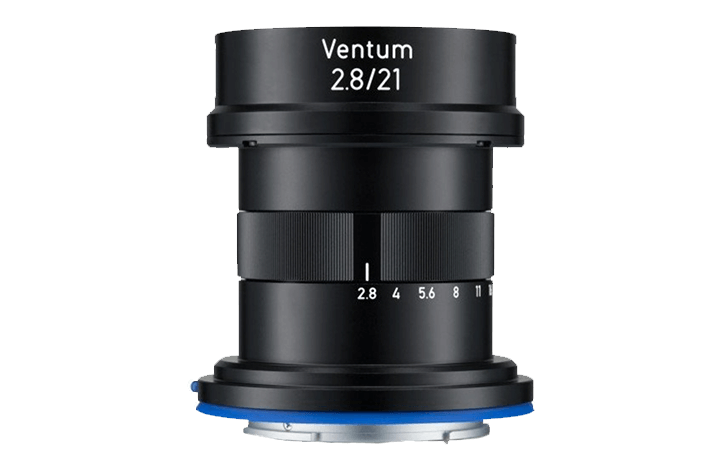 Zeiss is about to announce a new line of lenses called “Ventum”, but they don’t appear to be for your digital camera. According to Nokishita, the new line of lenses are fixed focus and look to target the surveillance market and possibly drones? I’m not sure if there would be any other application for such lenses. One interesting thing to point out is that there is an aperture ring, I’m not sure how that would work for drones and surveillance cameras. No word on what the mount is on the Ventum lenses. The mount is probably the DJI DL mount: diameter 58mm, flange focal distance 16.84mm. Since the Zenmuse X7 includes a Super35 sensor a 21mm makes sense.